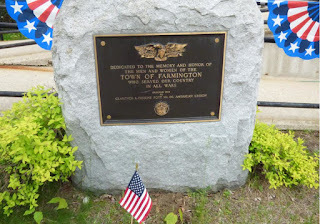 The Commencement Exercises for Farmington High School were held on Saturday, June 13th at 10:00 AM in the Farmington High School Gym. It was hot, but the house was packed with friends, family, and community members, all giving well wishes and support to the 83 graduates were leaving the Farmington High School as graduates. 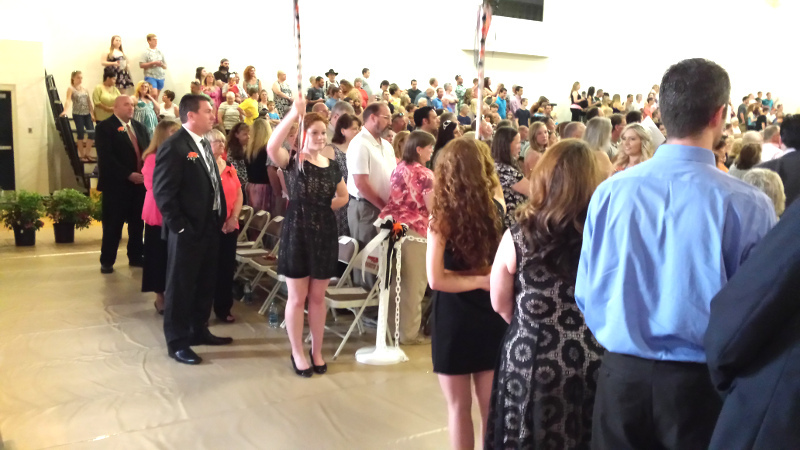 Class Marshalls, Molly King and Marilu Shepardson usher the Class of 2015 into the Gym. The Graduates take the stage as the commencement Exercises begin. 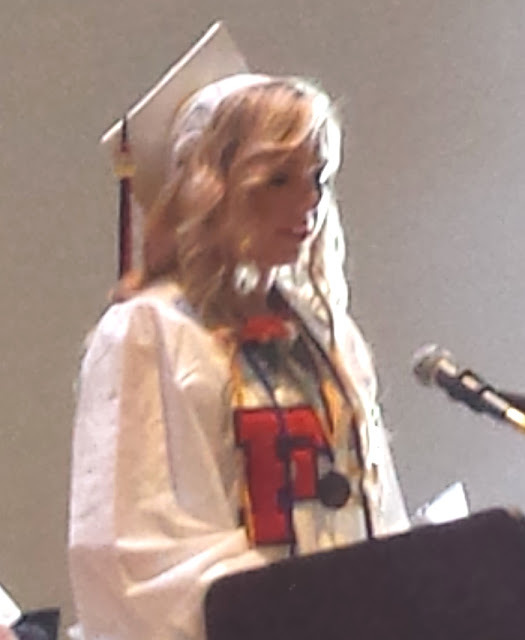 Salutatorian Kali Funk addresses the graduates and the audience. 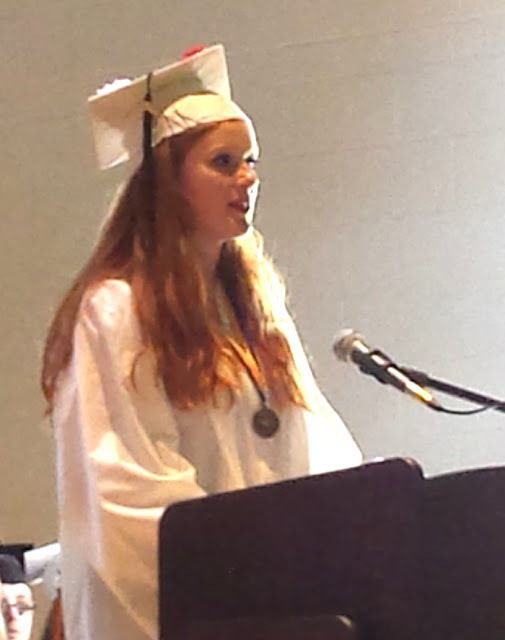 Valedictorian, and Class President, Shelby Chapman gives her remarks to the Class of 2015. 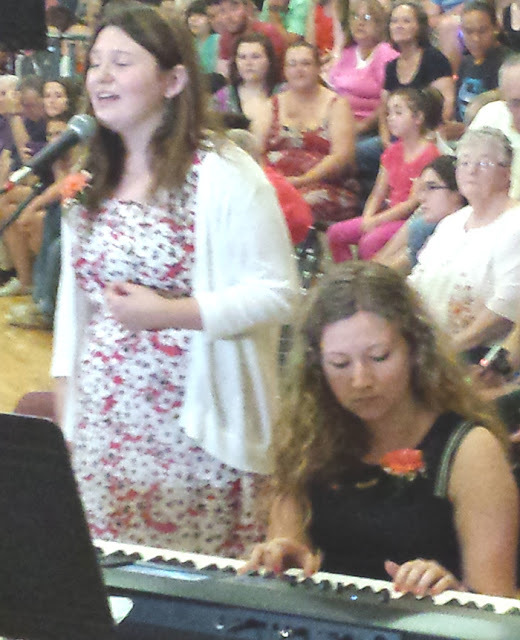 Emma Gelinas sang for the class. 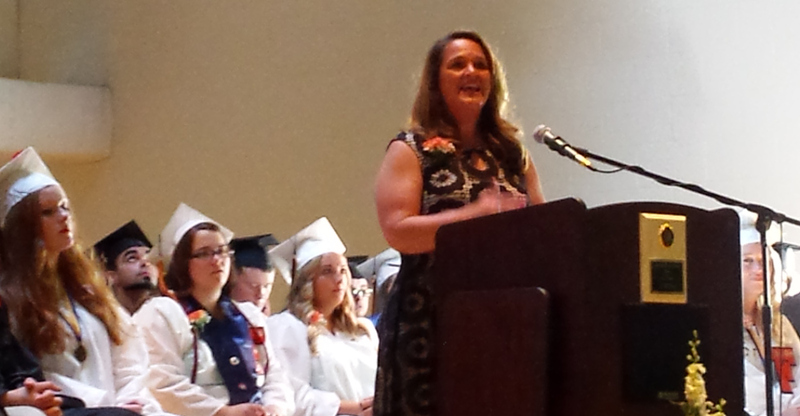 The Class of 2015 selected their Middle School teacher, Mrs. Rachel DeAngelis as their Commencement Speaker. 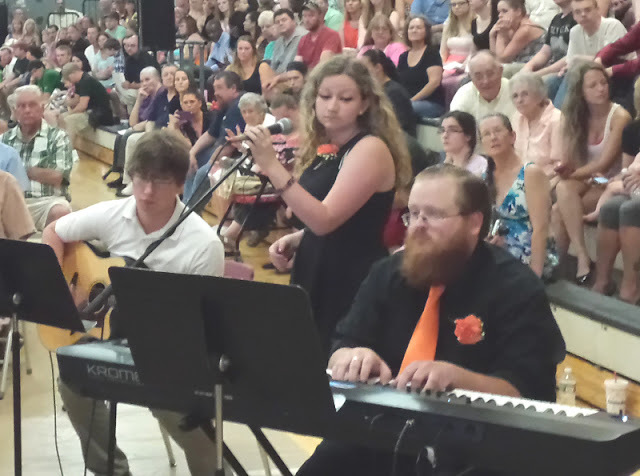 Brooke Marston sang a song for the Class of 2015. Diplomas were distributed by Farmington High School Principal Principal Matt Jozokos. The Class chose "Don't Blink" by Kenny Chesney as their Class Song, and "We Run This" as their Class Motto.